One evening a number of years ago, two mental health professionals away from their offices on a steelhead fishing vacation decided to put their heads together to collaborate on a book about teens. The result of that decision is a great book: Field Guide To The American Teenager: A Survival Guide For Parents! The authors Jerome C. Vergamini M.D. and Ray Miskiminis Ph.D. have over 50 years of experience in working with children, adolescents and their families. The purpose of their book is to give some guidance to parents of teenagers in plain language without the jargon that just makes it all sound confusing. It is not meant as an encyclopedia with all the answers, but enough to help put parents on a track where, if needed they can get further help and also know what to ask for. 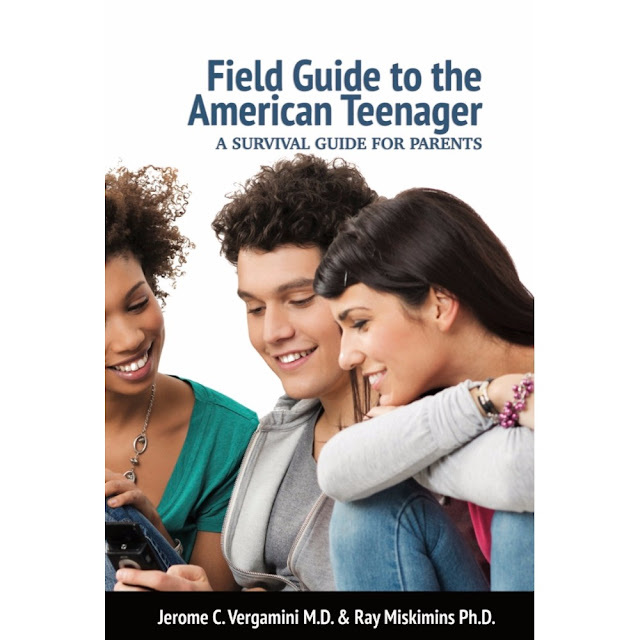 This book was written in an effort to share the authors' combined knowledge of teens, gained both as mental health professionals and as parents. It includes information on development, communication, schools, peer relationships, families, sexuality, religion, drugs and alcohol, and mental health problems, and to attempt to frame everything around these subjects. Dr. Vergamini, a child and adolescent psychiatrist, has for several decades consulted to many child and adolescent evaluation and/or treatment programs (inpatient, outpatient, mental health, substance abuse, etc.) and operated a private medical practice (in Oregon). Dr. Miskimins, a clinical psychologist, draws from his experiences directing an inner-city program for youth in Colorado, serving as Clinical Director (then as Executive Director) of an adolescent residential treatment center for emotionally disturbed teens in Oregon, and maintaining a long-term private practice.